PUCH – OZ E.P. out now on Lemongrassmusic!! Breaking news again: our nu E.P. named ‘OZ‘ is out now on Lemongrassmusic!! enjoy & stay tuned for nu fresh stuff coming up very soon…. ‘Welcome To Our Madhouse’ now available via Lemongrassmusic!! we are very happy & glad to announce that we are now exclusively signed to ‘Lemongrassmusic’! That means that a lot of our music now will be officially released and available in the net. 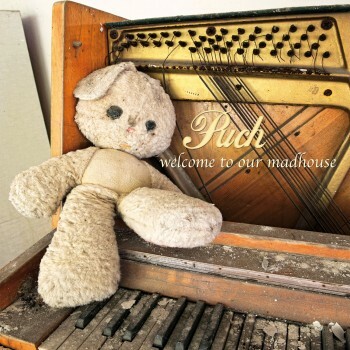 Kicking it off with our 2010 release ‘Welcome To Our Madhouse‘ which is now available on all relevant platforms, such as iTunes, Beatport, Amazon, Junodownload, etc. More news up soon – stay tuned!! also check out our homepage ! ‘Welcome To Our Madhouse’ Albumteaser online! and check out the Albumteaser below. ‘Welcome To Our Madhouse‘ will soon be released on Lemongrassmusic ! Howdy & welcome to the Blog of PUCH! We are currently working on our new site & also on new music and releases – stay tuned!